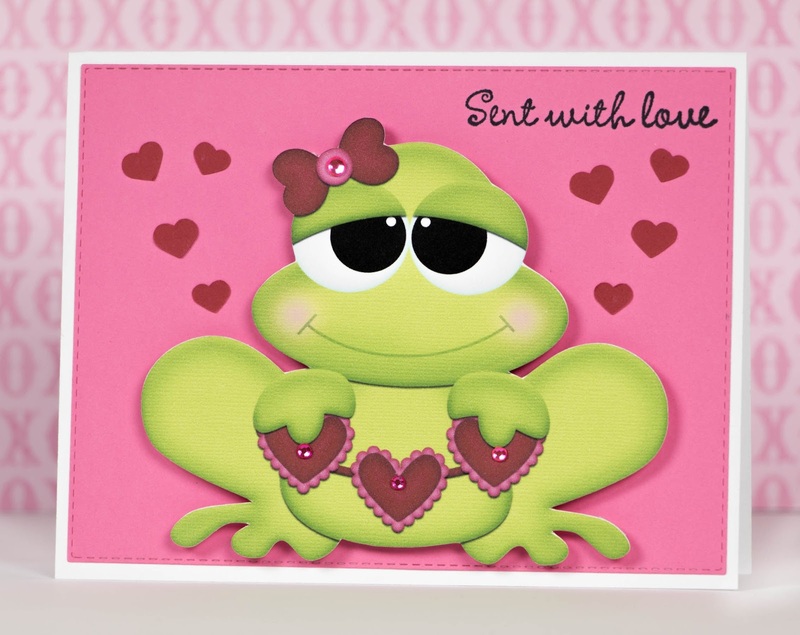 For this card, I used the Valentine Frog Holding Hearts PNC (#55073) that I purchased from the Silhouette on-line store. 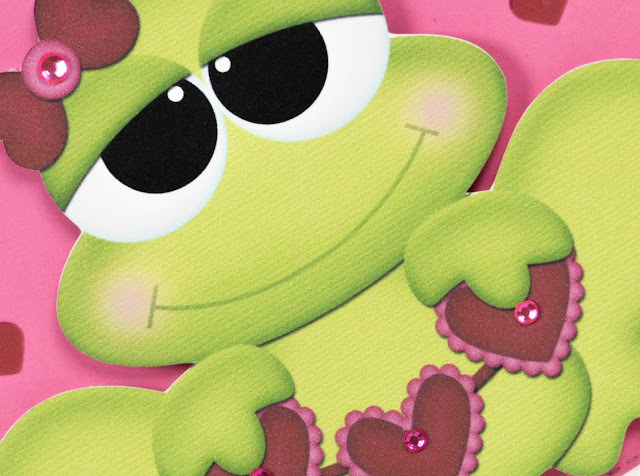 The frog is 4.345 inches wide and 3.616 inches tall. The pink layer measures 4 inches by 5.25 inches and was cut using a die from My Creative Time. I used dimensional squares to attach the image and added a few small hearts from the Scallop Hearts Nests (#113263) file that I also purchased from the Silhouette on-line store. The finished card measures 5.5 inches wide x 4.25 inches tall. The stamp is from Studio G.
So adorable! That is a darling cut!